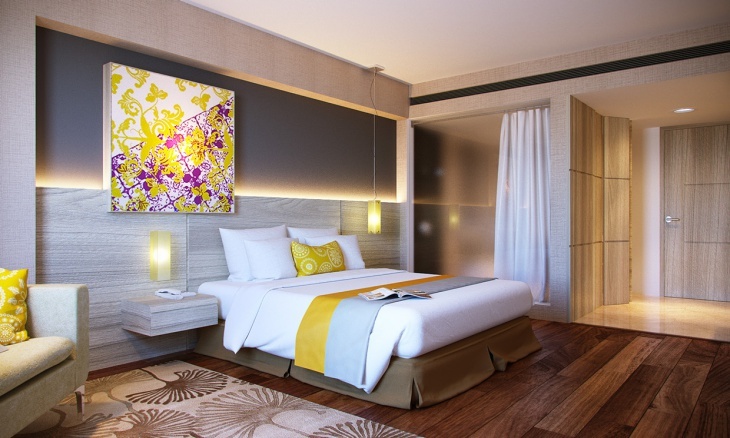 Are you looking for new ways to remodel your apartment bedroom? You can personalize it in any manner you wish, keeping in mind not to cram it with unnecessary or bulky pieces of decor. 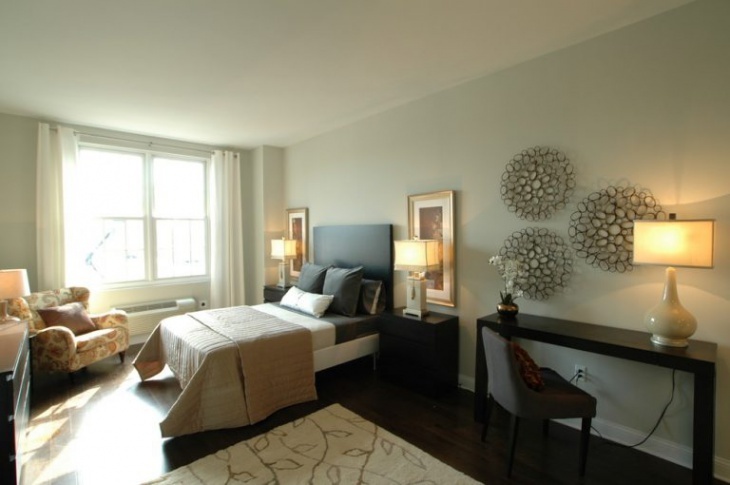 Whether you are living alone or sharing with friends, you can customize the apartment bedroom to suit your needs. While small bedrooms pose a challenge to organize and decorate, you can still achieve a functional bedroom that also looks good with these helpful guidelines. 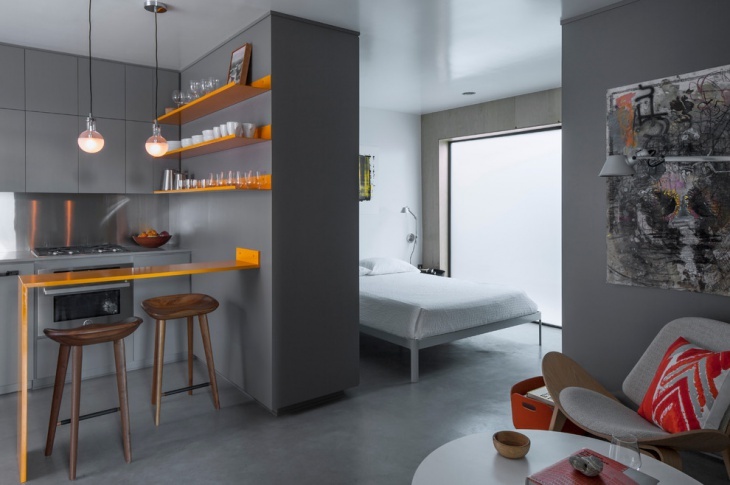 This extremely small bedroom accommodates just a single bed and a small cabinet. A rack for hanging clothes looks neat and space-saving. 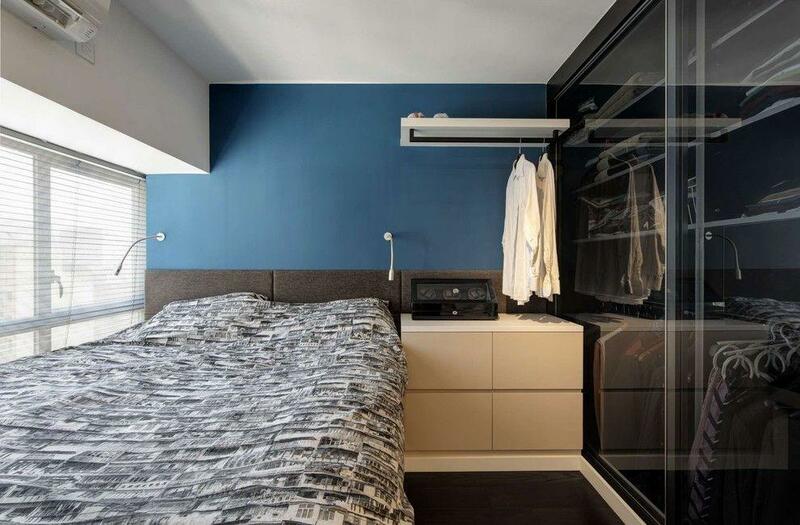 Closet mirror with sliding doors is a great idea that takes care of all your storage needs. 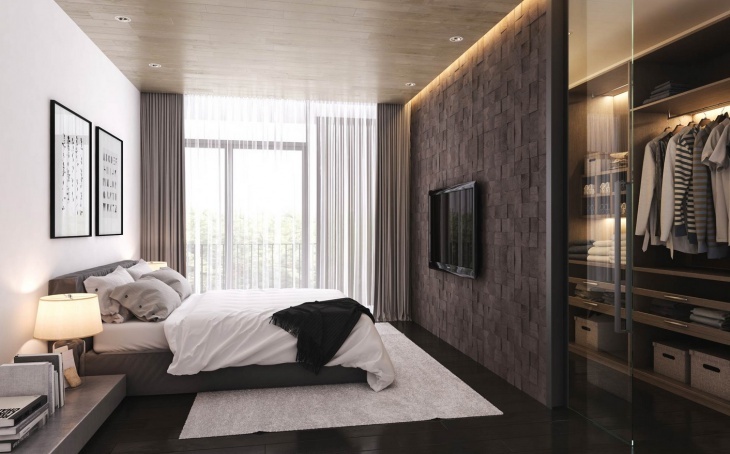 This appealing modern bedroom with natural elements looks airy and spacious because of the way it is designed. A single lounge chair near the floor-length corner window is all you need to relax while enjoying the pleasant view outside. 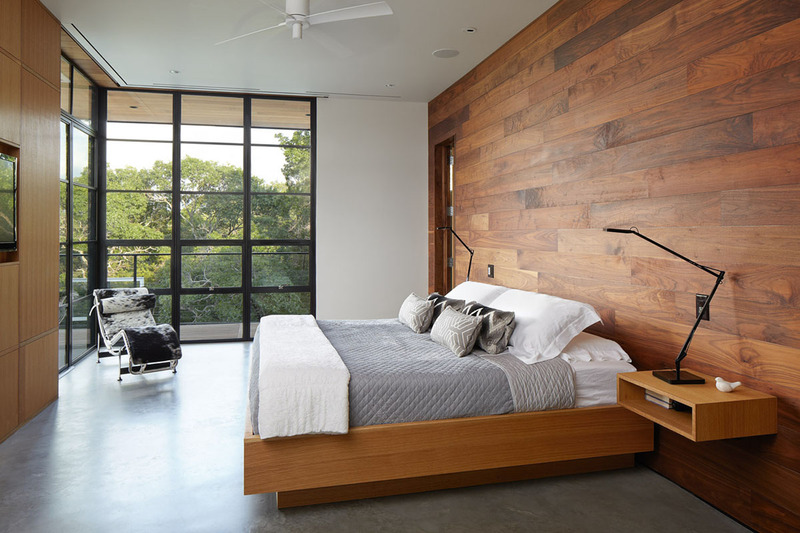 Wall-mounted TV and the floating nightstand add to the free space on the floor. This is a great example of an apartment with an open floor plan design that makes excellent use of space. The studio apartment furniture includes a bed, breakfast table, bar stools, a comfy chair and a coffee table. Bright colors and huge glass windows make this place look visually large, even though it is packed with heavy furniture. You could do with just one nightstand to free some space and replace the sofa chair with a small stool that goes with the dresser. Small apartment furniture is best-kept light and tall. Wall decor certainly adds character to the room. A cluster of these circular pieces of art creates a focal point in the bedroom. Paintings hanging a bit higher over the night lamps would look great on the walls painted in soft green. This narrow eclectic apartment bedroom is a perfect fit for kids. The open storage shelves and the built-in cabinets take care of the storage needs. Blue and turquoise colors add an energetic pop of color. The striped ottoman serving multiple purposes is a good choice. This bedroom features a collection of antiques and detailing according to client specifications. 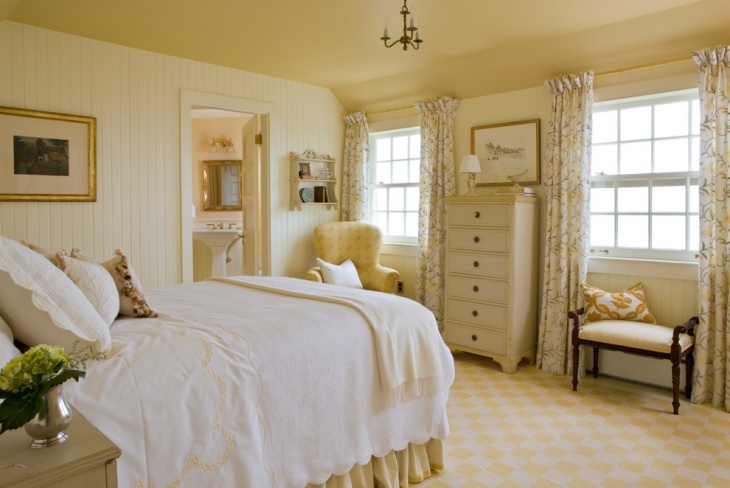 The white and yellow bedroom look elegantly charming. The handmade furnishings add a classic touch to the traditional setting. This room with twin beds makes excellent use of space and is ideal for teen boys. 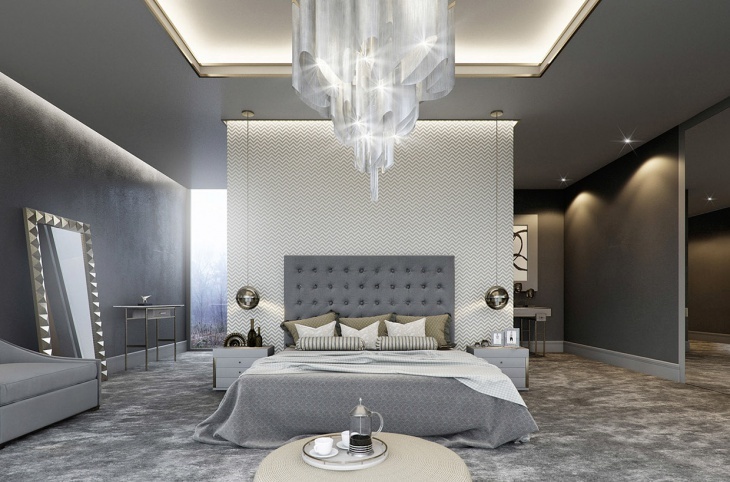 The zebra patterned rug, gray shades, and sputnik chandelier creates a cool and fun space. Wall decals are an easy way to add detailing and enliven a plain wall. This black colored leafy, cat wall sticker suits the purple themed bedroom. You only need to choose the right wall decal and suitable space to create an impressive look. 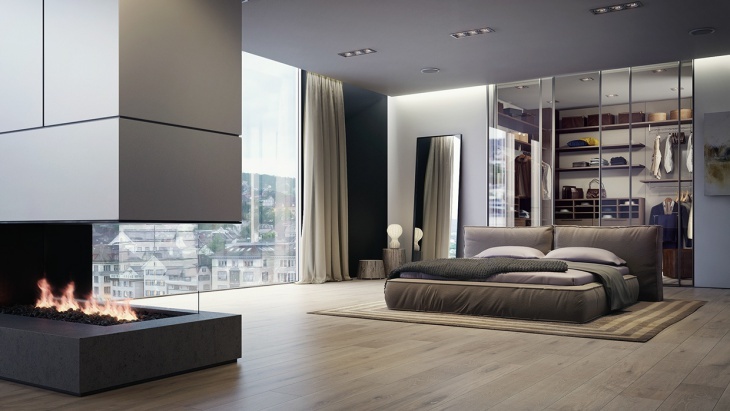 For a master bedroom, heavy furnishings work well, given the room is big. 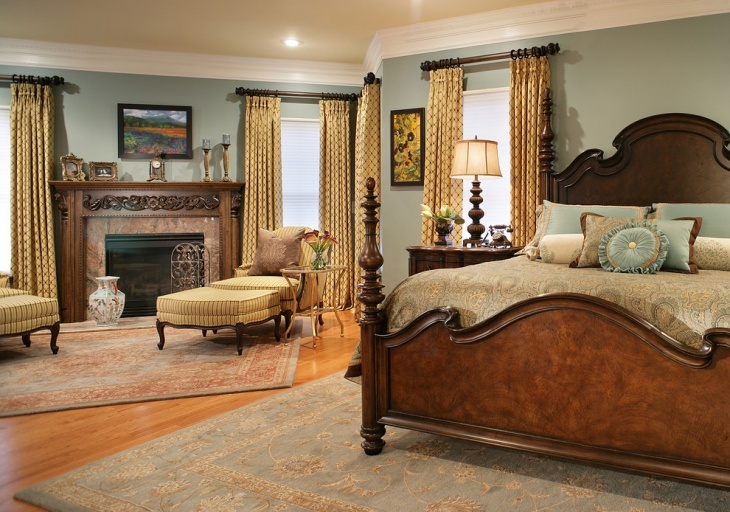 Chaise lounges, custom bedding, and crafted wood add an antique touch to this traditional bedroom design. When you are not left with much choice to decorate your apartment bedroom, you can concentrate on highlighting your walls according to your personal preferences. You can choose bedding in interesting colors and textures to render a luxurious feel to your bedroom. Keep things high and off the floor to make room and utilize the unused wall space for storage and display.